In a report released today, Toni Kaplan from Morgan Stanley maintained a Hold rating on Gartner (NYSE: IT), with a price target of $149. The company’s shares closed yesterday at $156.27, close to its 52-week high of $159.17. According to TipRanks.com, Kaplan is a 2-star analyst with an average return of 2.4% and a 55.9% success rate. Kaplan covers the Services sector, focusing on stocks such as Thomson Reuters Corp, Nielsen Holdings, and ARAMARK Holdings. 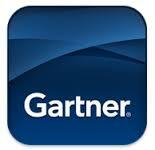 Gartner has an analyst consensus of Strong Buy, with a price target consensus of $147. The company has a one-year high of $159.17 and a one-year low of $111.57. Currently, Gartner has an average volume of 449.2K. Based on the recent corporate insider activity of 111 insiders, corporate insider sentiment is negative on the stock. Gartner, Inc. is a research and advisory company, which delivers technology-related insights to its clients to make right decisions. It operates through the following segments: Research; Consulting; Events; and Talent Assessment and Other. The Research segment gives advices on the mission-critical priorities of leaders.